The votes are in!! Your choice for my free podcast is overwhelmingly in favor of learning about the curriculum mapping process and arts integration lesson techniques! Rest assured, I am working on the podcast now and it will be up on MONDAY! Thanks for participating in the survey and for guiding me with what you really want to learn and discuss. I’m so happy that I can share this with you and I’m SO excited about the resources I’ve been creating today to support the podcast. Please be sure to pass the word to tune in on Monday! To get you started in thinking about curriculum mapping before Monday, I’m posting a process guide here today. Please look it over and comment with any questions. The more questions you write or comments you have about this process, the better the podcast will be for you on Monday. 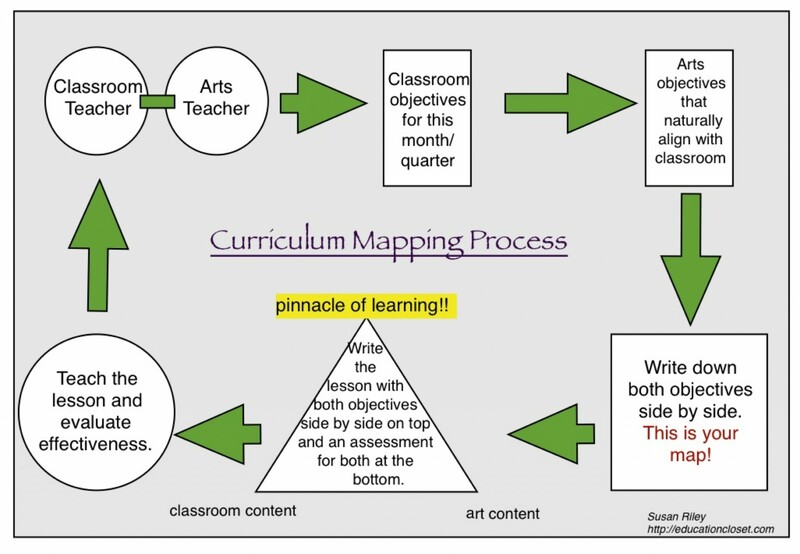 Hopefully, this guide will give you a better idea of what I mean about curriculum maps being so vital to an arts integration program. Let me know what you’re thinking!